Cape Town as seen from the top of Table Mountain. 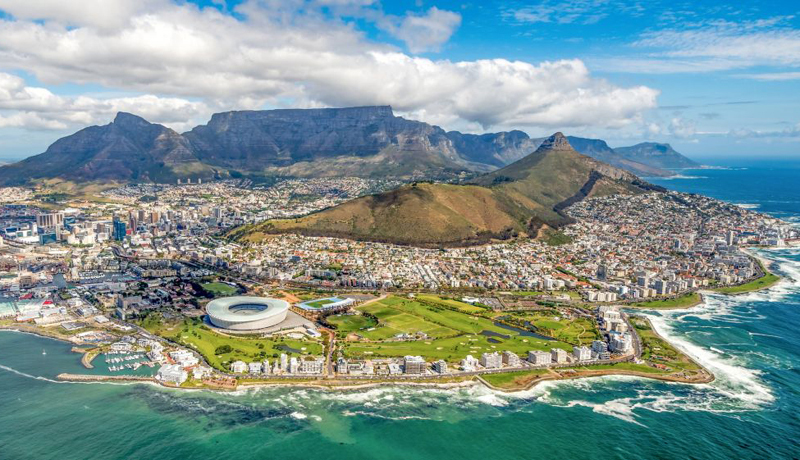 The dynamic city on the southern cusp of Africa, Cape Town was in the news most of this year because of a looming water crisis that had struck the metro area. News outlets eagerly covered the dramatic "Day Zero" predictions, when the municipal water supply would have to be shut off. A steady increase in population, combined with a severe, years-long drought, has taken its toll, leaving the city few good answers. There were numerous stories across international outlets throughout early 2018 detailing the restrictions being placed on citizens and what efforts were being undertaken by businesses. But bad news sells, and good news—not so much. The drought has eased and reservoir water levels are back up to levels of around 75 percent. That's good news, as is the city's many conservation advancements. But tourism to Cape Town has suffered, and industry leaders are keen to get the word out that the city is "open for business." “We need to spread the word that the Cape is open for business, that Day Zero has been pushed back, while not becoming complacent in our water saving efforts,” said Sharmila Ragunanan, Group Marketing Manager, Dream Hotels and Resorts on the water situation. According to Chris Godenir, General Manager of The Peninsula All-Suite Hotel, the local hospitality association FEDHASA formed a pledge detailing required actions that all members signed and committed to following. "FEDHASA formed a unified voice for our industry and all were encouraged deliver the same message. Already in existence was the joint partnership of JAMMS. This includes Cape Town Tourism, Fedhasa Cape, SAACI and SATSA Western Cape—this brought collaboration to a different level. A water committee was formed, and regular meetings were held with regular communication sent out to all parties," Godenir said. The Peninsula created a year-on-year saving of more than 40 percent, as did the whole of Cape Town, which reduced daily consumption by 50 percent from the previously wasteful years. "Through collaboration and innovation, the crisis has been resolved but behavior has changed for the better and Cape Town has shown how to set an example to the rest of the world," Godenir said. The unfortunate part, he explained, was an immediate drop in hotel reservations—the period from May 2018 to September 2018 saw a decrease in expected volumes by 30 percent. "Fortunately, the tide has turned, and the message is slowly getting out there that Cape Town is open for business and time to come and visit the greatest destination on earth," he said.